The Company is committed to providing a safe and healthy workplace for all employees, contracted personnel and other personnel involved in our businesses or operations and to conducting tasks in a way that safeguards the environment, in particular the marine environment, in which we will strive to cause no pollution whatsoever. We shall achieve this commitment by identifying and reducing risks in all our activities and by encouraging a culture that includes training and motivating people to perform their duties in a manner that always puts safety first, always takes health into consideration and always strives to minimize harm to the environment. Furthermore, we shall show social accountability by not engaging persons under 18 years of age to work in any of our businesses or operations. 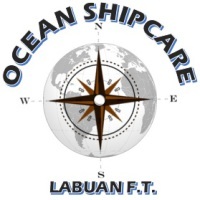 h the extensive knowledge, experience and support from all team members, Ocean Shipcare is now standing to provide the best and quality supports in ship layup, marine as well as in offshore services. In addition to best meet with the marine industry’s specialized needs, Ocean Shipcare had gathered a workforce whom are reliable, skilful, competent and very productive technical team. The carriage, possession, or consumption of alcohol, un-prescribed controlled substances or drugs; or coming to work under their influence, is prohibited within the premises of the Company, onboard ships under the Company’s care and on transport thereto. Also prohibited is the abuse of medically prescribed drugs in the possession of individuals. Contravention of this policy will result in disciplinary action which may include instant dismissal from service. The Company is committed to providing ship lay-up services to customers in a safe, efficient, legitimate, cost effective and transparent manner. Customer satisfaction and incident free operations are our objectives. We shall carefully consider and follow customer requirements. Furthermore, we shall ensure that regulatory requirements of the ports we operate in, are always met. We shall constantly strive for excellence and for reduction of risks in all we do. We shall learn from our own and industry experiences and act to continually improve our management systems and our performance, so as to become the most sought after service provider in our area of business.